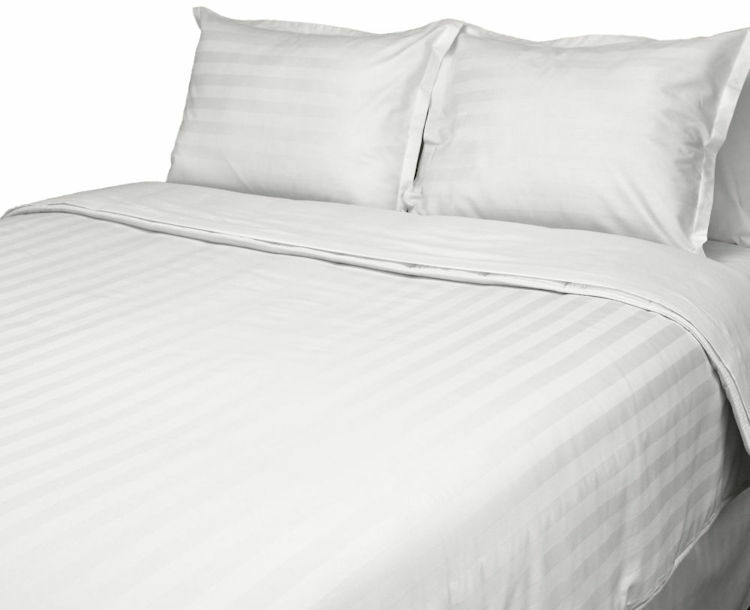 King size Eco-Fill T-250 White Dobby Stripe Comforters, a time and cost saving alternative to traditional duvet covers and duvet inserts. 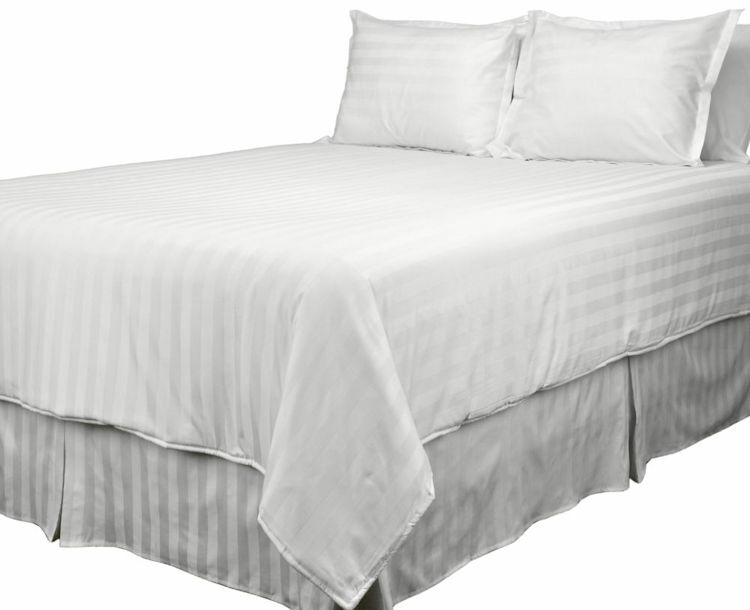 These King Comforters are made using our low-wrinkle, T-250 white dobby stripe duvet cover fabric and our down-alternative Eco-Fill duvet inserts to create 3 layered Comforters that are affordable, long-lasting, easy-care and fast drying. 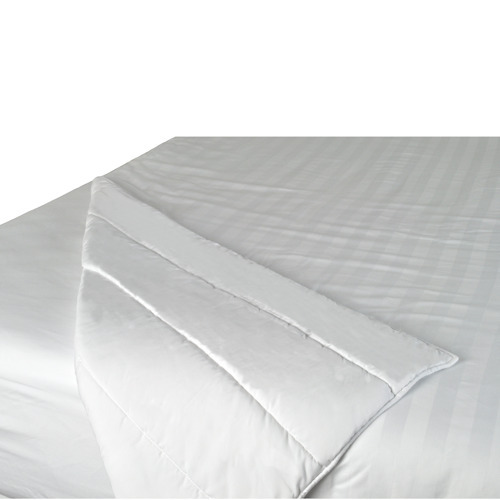 An excellent choice for when you need king bedding with the simplicity and lower cost of a comforter and the look of luxury dobby stripe duvet bedding. 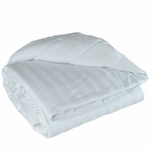 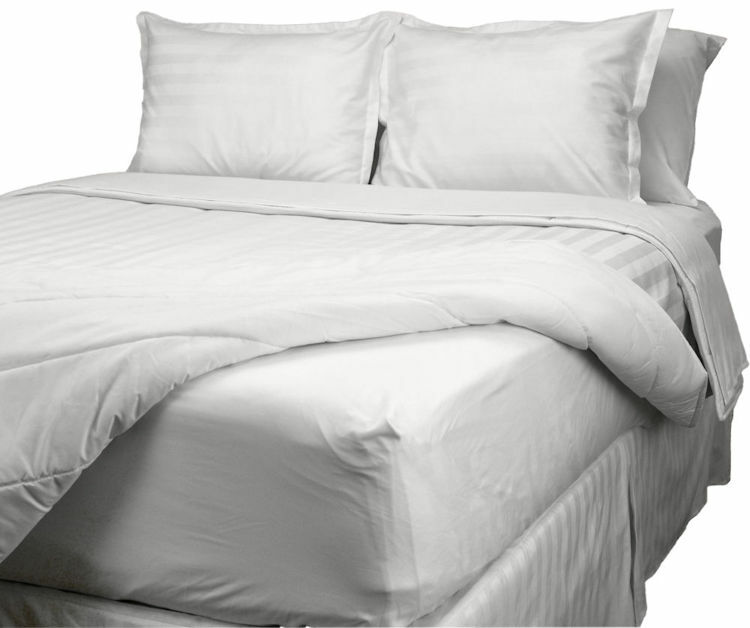 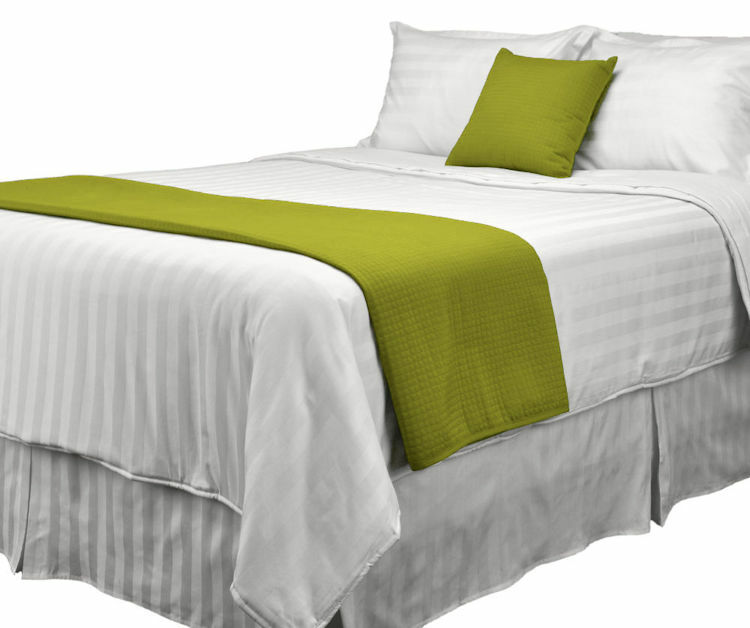 The King size Eco-Fill T-250 Covered Duvet Comforters are available wholesale by the case of 3 comforters. 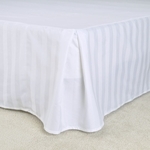 3 Layered White Dobby Stripe King Size Comforters - All Season, Hypoallergenic Down-Alternative Bedding.